Starting from WPUF v2.8.1 PRO, a new feature Tax will be incorporated under WPUF Settings. 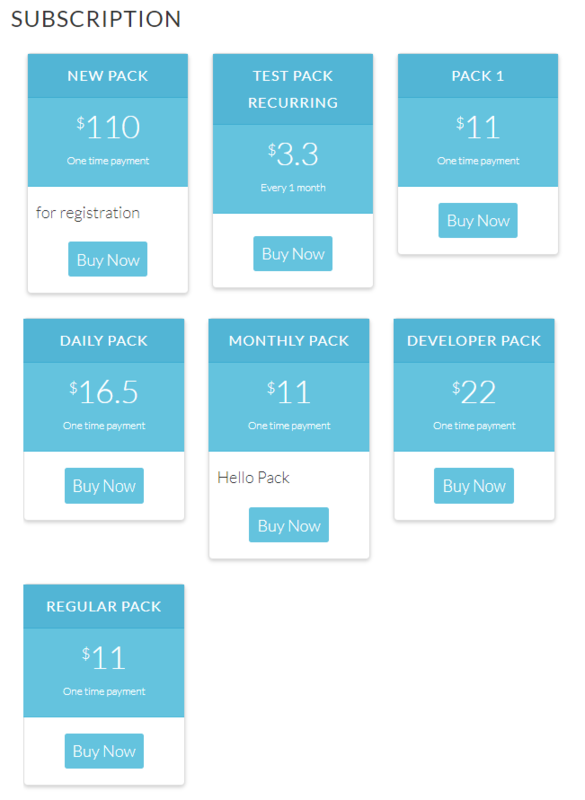 You must update your WP User Frontend FREE version to 2.8.5 and the PRO version to 2.8.1 to be able to use Tax successfully. 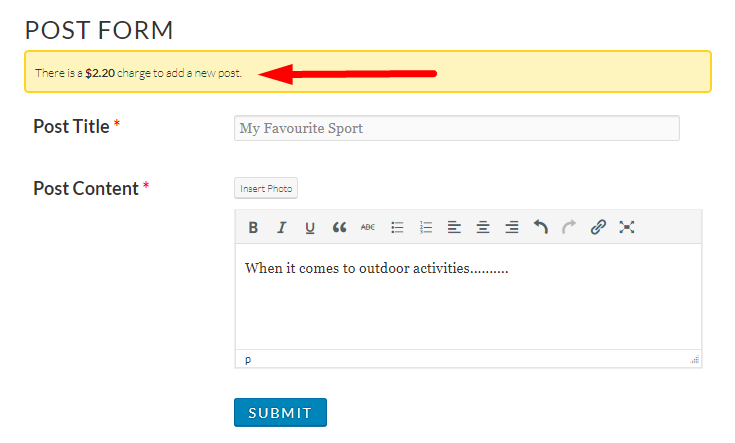 If you already have configured enabling and setting up pay per post for your selected form, then continue to publish it. 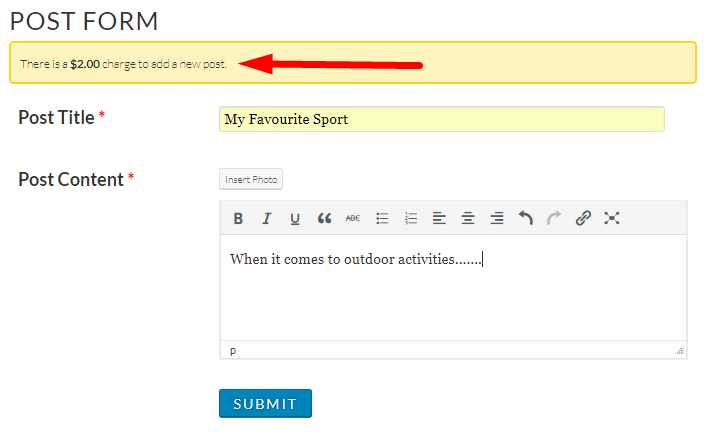 If you haven't, checkout this documentation to learn how to enable pay per post. 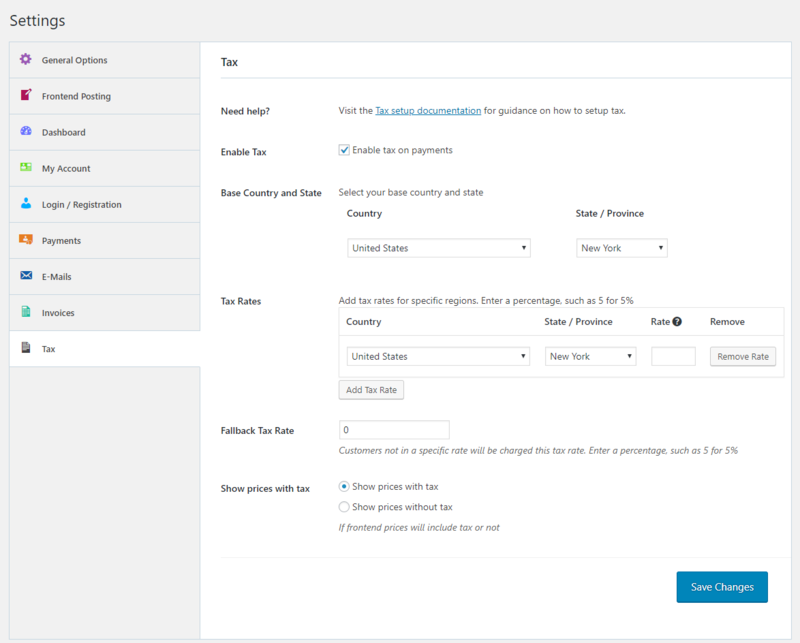 When the address of the user is unspecified or out of the specifications set by the admin, the form will display the price including the Fallback Tax Rate. 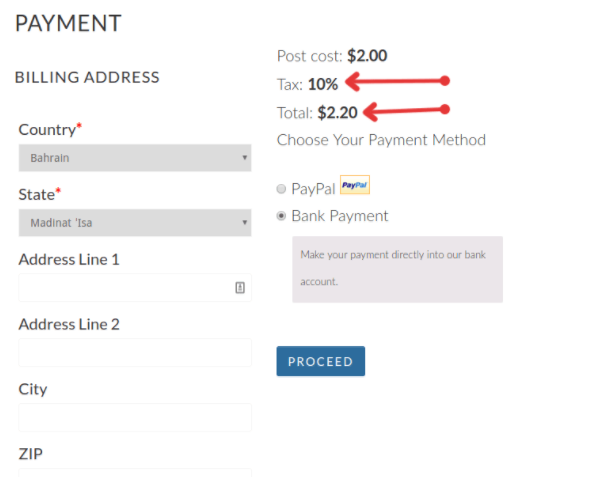 After submitting the form, the Payment checkout page will appear. 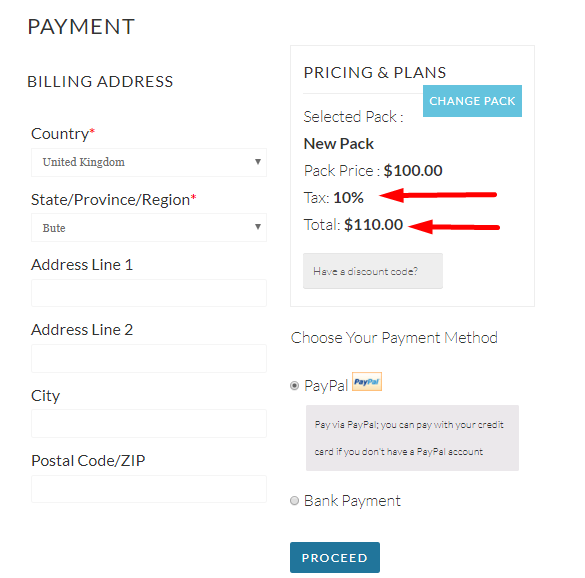 If you have already created subscription packs, move on to Tax Settings to configure taxes. 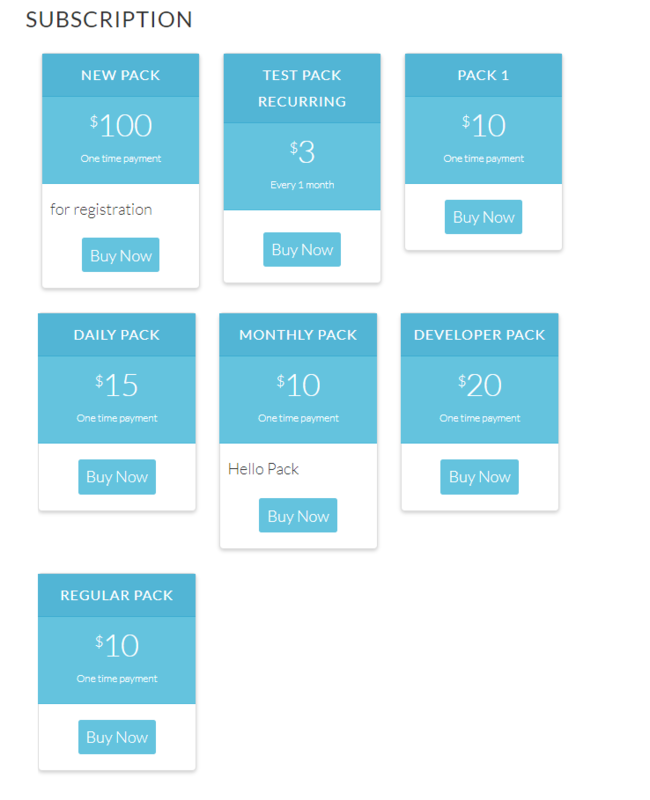 If you haven't, check out this documentation to learn how to create subscription packs. That's all about WPUF Tax!